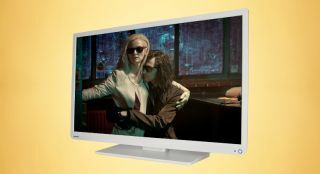 Toshiba TVs: company to stop producing new sets | What Hi-Fi? Toshiba appears to be on the verge of quitting TV production, except in its home country of Japan, with the manufacturer announcing that it is ceasing development and sales operations in the North American market. The company has now licensed its TV business in the region to Taiwan's Compal Electronics, with this "new business structure" scheduled to start delivering products to North America from March. And North America isn't thought to be the only market in which Toshiba is reviewing its TV options; it has confirmed that it's looking to overhaul operations in other regions outside Japan. Toshiba is considering a similar move in other international markets, introducing a brand licensing structure in place of its own development and sales – and the target for doing so is April this year. The reason has been attributed to a slowdown in the global market and "harsh price competition", with the launch of "value-added products" such as large screen models proving unsuccessful. A spokesperson said: "Toshiba will continue to refine optimal business structures for securing stable profit, and to develop new technologies and services across its diverse business fields." MORE: Sony to offload TV and mobile phone division? It follows the news that fellow Japanese manufacturer Sony was reportedly considering the sale of its own TV division as pressure from declining margins and longer replacement cycles mounts. Sony CEO Kazuo Hirai was quoted by reporters at CES 2015: "Within [electronics], there are some operations that will need to be run with caution - and that might be TV or mobile, for example." And, according to Reuters, other manufacturers to implement new TV business structures include Panasonic in the US and Sharp in Europe. But Toshiba's own European fate is as yet unknown.